Did we just find the ruins of a famed lost city... using lasers? Using an airborne mapping technique involving laser pulses, researchers have uncovered curious surface features deep in the rain forests of Honduras in Central America. Could archaeologists have actually found the legendary La Ciudad Blanca, "the White City"? Explorers have dreamed of finding the White City since the days of the conquistadors. The lost metropolis was long believed to have been filled with gold and situated in the dense rain forests of the Mosquitia region of Honduras. Explorers and archaeologists have reportedly found mounds and other signs of ancient civilizations in the area throughout the 1900s, but nothing really resembling the famed rich city. A major problem with exploring the region is that the forest is incredibly inhospitable. La Mosquitia is mountainous, filled with densely packed trees and home to snakes, biting insects and numerous diseases, including malaria and Chagas. So to search for the lost city, a team of archaeologists at the University of Houston decided to forgo physical expeditions altogether — they instead searched for La Ciudad Blanca using lasers. LiDAR (Light Detection and Ranging) is a remote detection technique that uses light to create topographical maps and other things. Basically, the team used slow-flying planes to send out countless laser pulses towards the ground as it flew over the rain forest, and then measure the light that's reflected off the vegetation and the ground. The researchers then built up a map of the surface by stripping away the vegetation data. 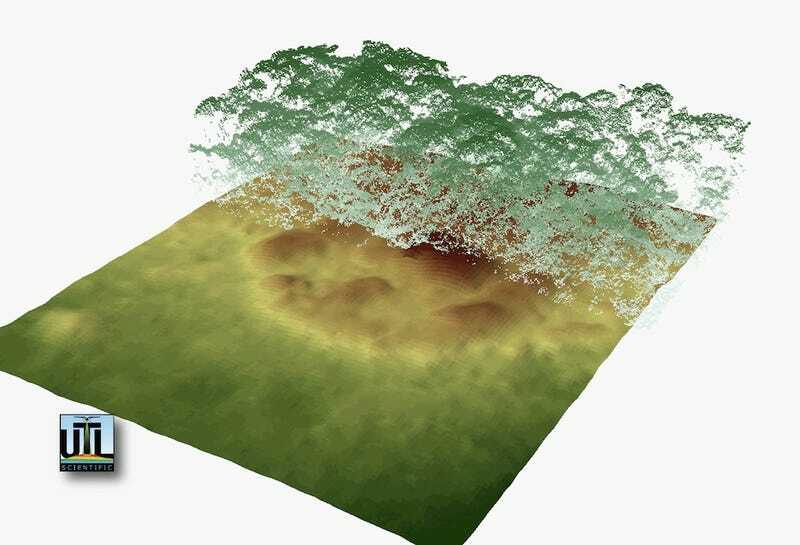 The resulting images revealed what appears to be (at least to the trained eye) ancient ruins — the regularly spaced mounds and linear features are also seen in some other Mesoamerican cities, researchers say. The researchers now have a place to look for the ancient city, and they hope to see the potential structures in person later this year. Via Discovery News. Images via UTL Scientific, LLC.